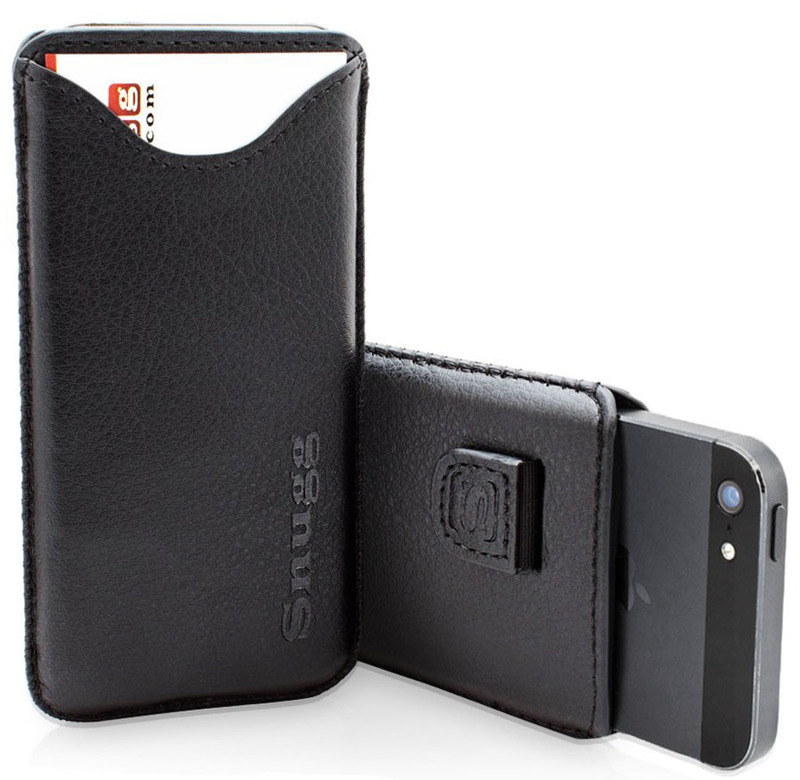 This iPhone 5S black leather case by Snugg is made of PU leather with soft Nubuck interior. 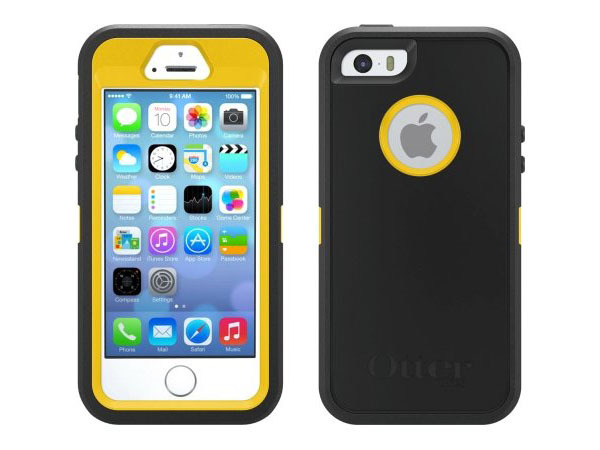 A pull strap is included to make it easy to pull your iPhone out of the case. 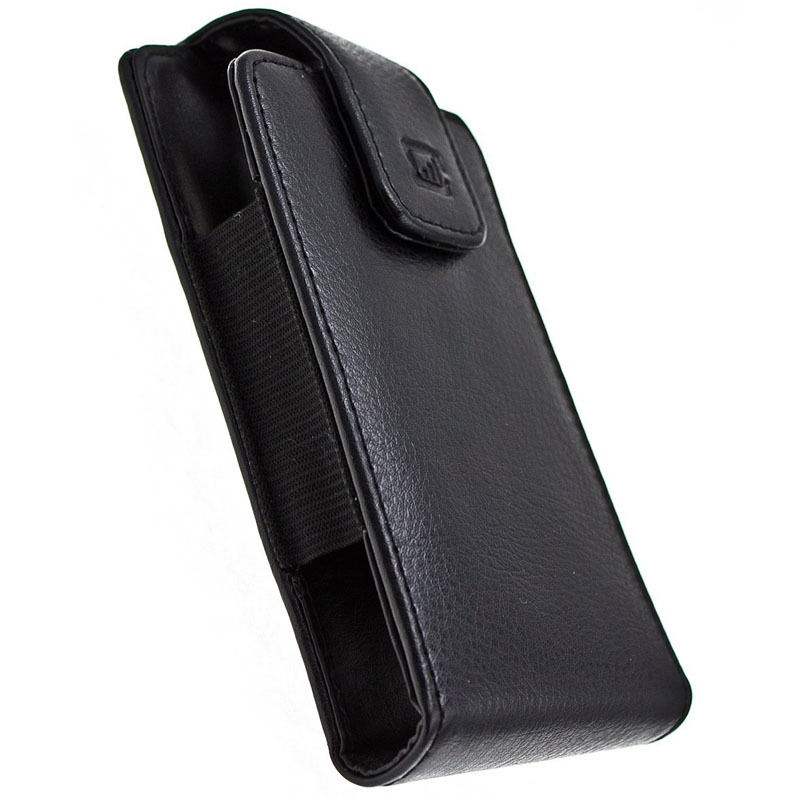 It comes with a card slot for your convenience.